(by Amanda Woods, NY Post) – The quadruplet brothers who were accepted to dozens of the nation’s elite universities have decided to stick together — and attend Yale University. The New Haven, Connecticut, Ivy League offered the brothers from Liberty Township, Ohio, an “extraordinary” financial aid package that no other school could beat, NBC reported Monday. 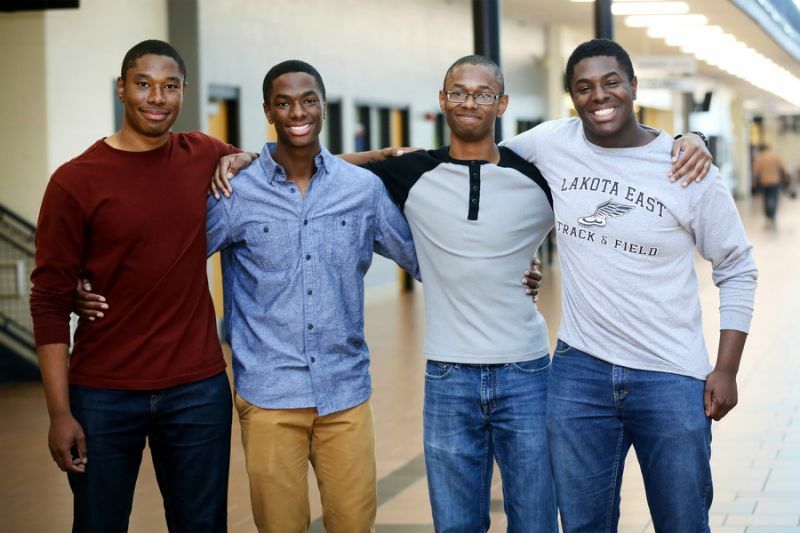 The 18-year-old brothers — Nick, Zach, Nigel and Aaron Wade — were accepted to a combined 59 colleges, including Yale archrival Harvard. Aaron told NBC he was torn at first and considered Stanford, but he preferred the social environment and the arts and humanities programs at Yale. He was the last brother to confirm his choice — just hours from the deadline early Monday. After word got out of the boys’ acceptances, The New York Times published their admissions essays on their journeys to become individuals. Each plans to pursue different areas of study. Aaron plans to study artificial intelligence, and he also sings and plays piano. Nigel, who will study neuroscience, plans to be a doctor. Zach, who is also a discus star, would like to study chemical engineering. Nick once studied Arabic in Morocco and would like to be a diplomat, NBC reported. 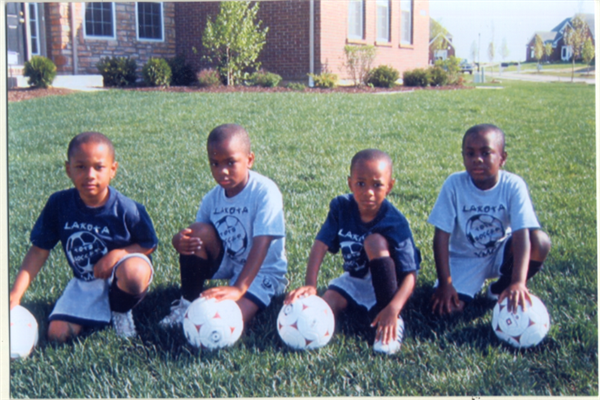 Nick, Zach, Nigel, and Aaron Wade as boys. The boys’ father, Darrin Wade, a senior staff software architect for General Electric, was pleased with his sons’ choice. Back in 2010, another group of quadruplets — the Crouch family from Danbury, Connecticut –made news when they too decided to attend Yale. (from News .com.au) – A tiny village in Norway has suddenly been swarmed with tourists thanks to a Google Maps error. 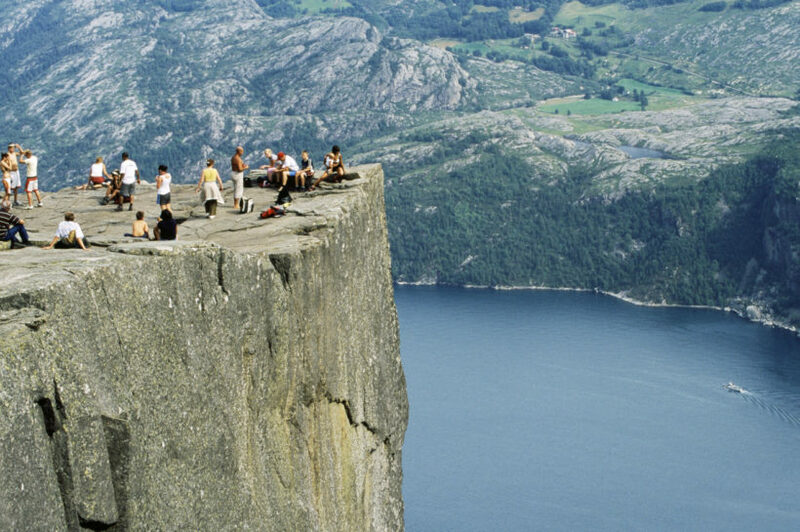 Confused travelers, who thought they were about to experience the wonder of the famous Preikestolen cliff, have been turning up in Fossmork instead — about 19 miles away from the path that leads to the iconic summit. Fossmork resident Helge Fossmark said there have been lines of minibusses lining up outside the village on summer days. “We have sent hundreds of tourists away in no uncertainty that they’re on the wrong side of the fjord. In the summer season up to 10 to 15 cars show up each day,” Helge Fossmark told Norwegian newspaper Stavanger Aftenblad. Another village resident, Gunnar Bøe, said that he is also visited by confused tourists. “When we are in the cabin, sometimes two, three, four or five tourists come in. Every day. They say they are going to Preikestolen and understand nothing. Google Maps leads them over the Lysefjord bridge and into Fossmork. The road here is quite narrow and they sometimes get quite upset when we tell them to go back,” Bøe told the newspaper. Google has responded, saying it encourages people to report any problems they find so they can continue to improve the service. This isn’t the first time a tiny town in Europe has suddenly been flocked by tourists. The small English town of Kidlington, Oxfordshire became an unlikely tourist attraction last year for Chinese travelers, leaving the locals absolutely stumped at the time. Turns out, the tourists just wanted to get “the true sense” of England.